Yesterday I received some new low profile switches from Kaihua. They are clearly inspired by Cherry ML, but they are not compatible with them, the stem is very close but the keycaps don't quite fit. I'm told that they are testing these switches for over an year now and they are finally releasing them. The brown one is the closest to cherry ml but definitely smoother. The red is really nice, I don't have specs yet but it's definitely stiffer than cherry mx red. The clicky one is the big surprise, imho. It feels really good, it's a little like a futaba clicky, but heavier. I'd say they are all very well weighted, but slightly on the stiff side. If you like very light switches these are not for you. They are all clear top, backlight compatible and of course PCB mounted (no plate). The travel is approx 2.6mm. All in all I'm really enjoying them and looking forward to build a keyboard out of them. Unfortunately we will have to wait for the keycaps to be able to actually use these little guys. I'm not sure what's kaihua's plan here. 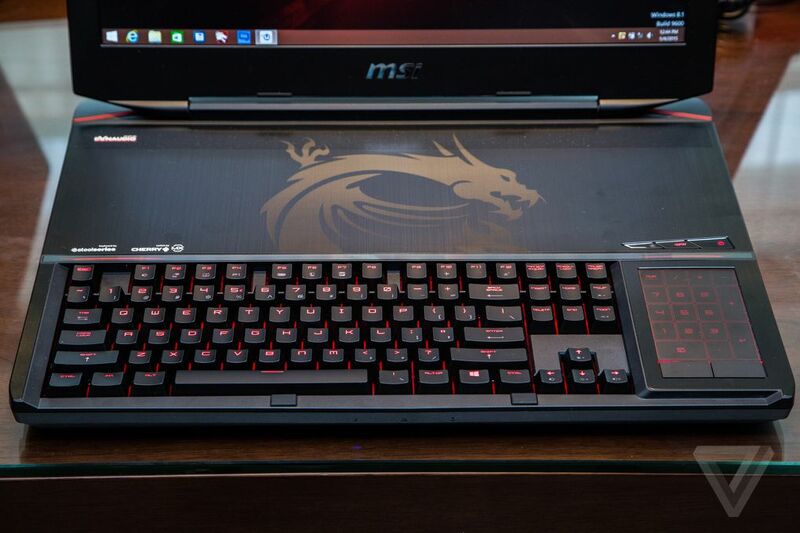 OEM gaming laptop? Wireless keyboards? We'll see. I'll try to post more pictures soon. But if it is a new keycap stem design, they are getting themselves off on the back foot as the only keycaps available will be what they sell. Those wanting to customise a board will be left out in the cold for a while. the stem actually fits standard cherry ml, the problem is that on Kailh the position is right in the middle of the switch, while on cherry they are slightly shifted towards to the top. Good though about laptops - there are few if any with proper mechanical switches around these days! Would love to see someone release a board with these. People are always looking for low profile caps also, this has potential. How To Search geekhack . Indeed; I'd love to see some more lower profile options. One of my biggest complaints with a lot of mechs is how thick they are and that 4mm switch travel is just a little too long for my taste. have you tried ALPS? They have slightly less travel than MX. You bet! I'm building an infinity soon, as a matter of fact. Topre is my preferred switch for work, but I'm always on the lookout for something I like better for gaming at home. My switch of choice for now is Romer-g, and it too has a shorter throw and higher activation point. Pretty much all MX varieties and clones are a no-go for me. Cats love to run across my laptops when I least expect it and the current mechanical laptop switches are uh.. ...Especially the Florida cousins, who obviously can't take a hint. My brother from another mother! But those may be pre-production photos, samples, whatever, so who knows. I really hope they make the version without the ridge available to us mech freaks! I like ML's but only once they're heavily modded (which is a PITA, lots of effort needed), I could see myself using these happily without mods. but I must have them. From the dimensions in the spec sheet obra posted on his Github it looks like you could jam these into an MX plate for prototyping. The pinout is different to all the other "normal" switches, though, so PCB designing requires creating a module for these. I really want to try these out! the switch fits, but it's not ideal (1.5mm is a tad too thick). Also the PCB would be really close to the plate, possibly less than a mm. Nice! Thanks for trying it out and for the pics! Probably best to use a 1.2 to 1.3mm plate for a properly designed board with a PCB (or just a stiff PCB and no plate), but a stock MX plate looks like it'd be fine for prototyping and hand wiring. If the Family11 caps don't fit then the fact they use ML mounts a bit pointless, IMO. This would be very sad, since they seem to be very nice switches otherwise. 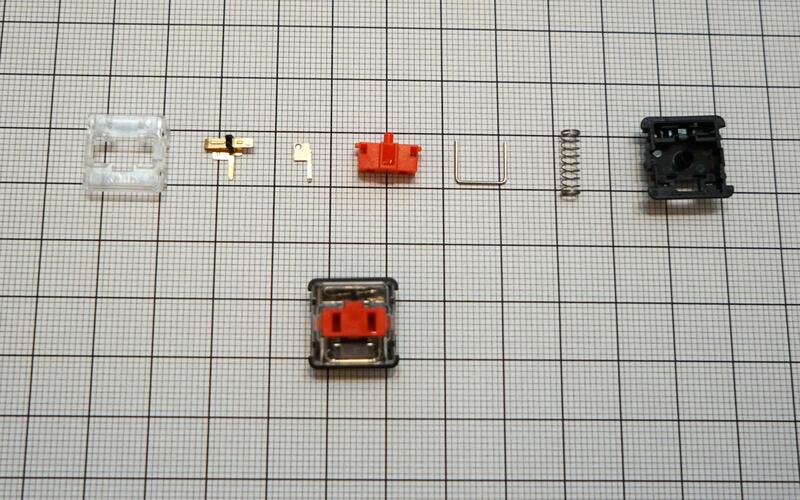 I like modded ML switches, but modding them is a real PITA and Iäd much rather just use switches like these ones. Probably would work with 18 gauge steel plate? I believe the plate on these switches is more meant as a pcb "cover". anyway as soon as I get the keycaps I'll post more info. 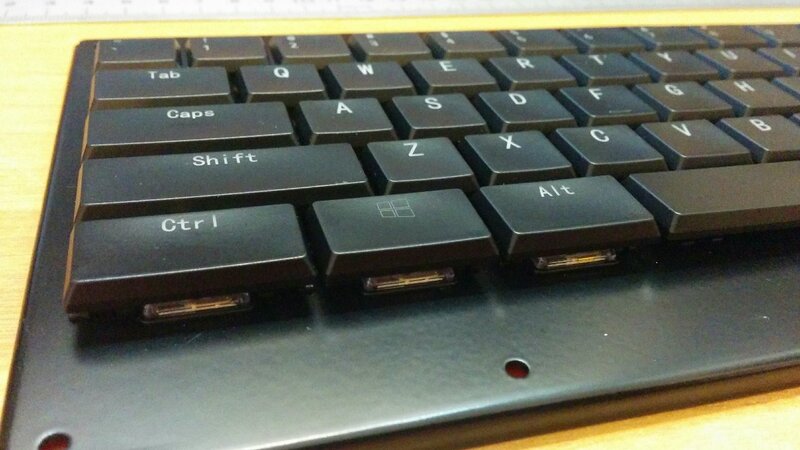 Oobly, is that you who made that wonderful custom ergo keyboard on cherry ML? I will get a set of keycaps in a week or so! Can we get a sound sample of them? especially the clicky one. Location: In the middle of nowhere. A thinkpad with a mechanical keyboard would rock. Thank you Matt for the note on the new switches. I feel like with how ridiulously thin Laptops are nowadays that these switches would still be too thick, they may be great on a lower profile gaming laptop though. Still hogged by Corsair, Cherry MX Silent is 3.2mm travel, I believe, so this is a small but welcome improvement. As a fan of laptop scissor switches, I'm always in favor of reducing travel. I think it's a distinct advantage for many touch-typing above 120 WPM or so (or trying). WANTED:Nada have all I want for now! Where is my "shut up and take my money" gif? 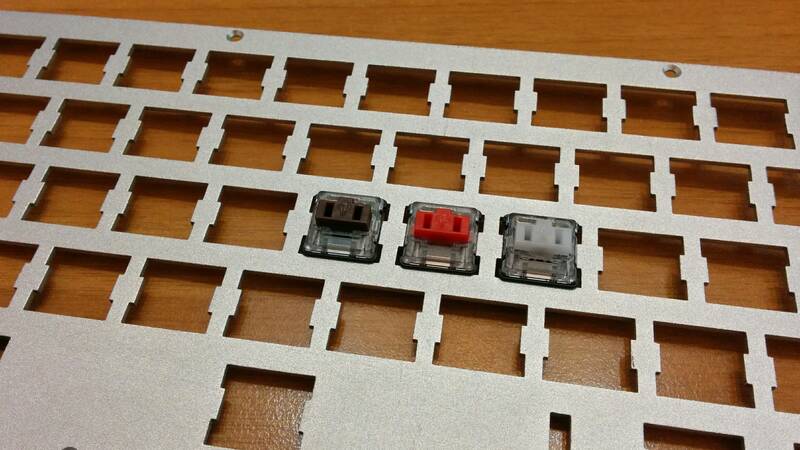 How will creating custom boards for these switches pan out when it comes to the keycaps? Are kailh themselves making the caps or is another company? they are doing it themselves, I reckon custom keyboards would be extremely hard to do. Also look at that weird size ctrl. they are doing it themselves, I reckon custom keyboards would extremely hard to do. Also look at that weird size ctrl. Yeah, that's what I was thinking. Custom boards are going to have to be built around the keyset if they are even willing to sell the caps in the first place. It would be nice if the caps were doubleshot abs or pbt or something, but these laser etched backlit caps would be a dealbreaker for me. I do enjoy the ML4100, it is disappointing that these switches aren't compatible with ML caps. You could make a pretty nice board I bet if you managed to fit a plate (with insulation between the pcb) on the switches and swapped it into a dyesub model of the 4100. Why do you think not DIY friendly, just the strange cap sizes or the stabs? Well if we cannot get custom caps, we are stuck to the layouts that whatever products that use this will use, which is probably going to be laptop type layouts. Assuming they will even supply the caps in the first place. 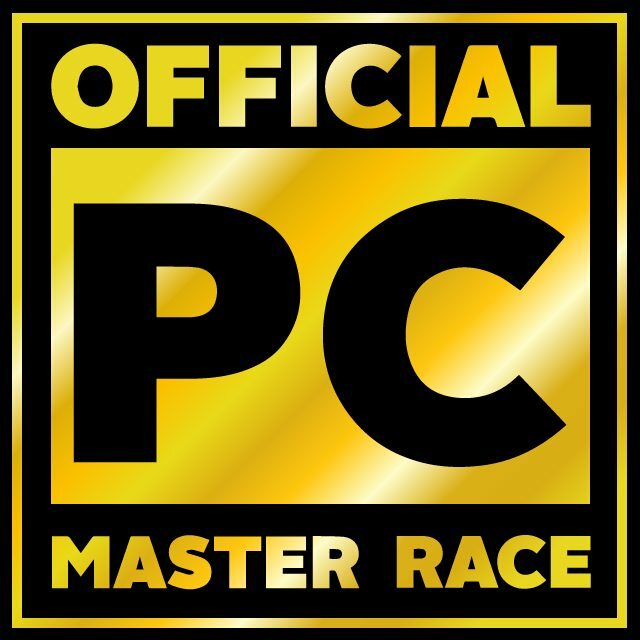 Hopefully we coud get blanks in a standard(ish - I bet the spacebar is small) layout, they're all flat so should be possible. wow, I might just switch back to a ThinkPad (from a Macbook) if this really happens! The experience would be amazing! Please let this be true! Me too. I'm semi-happy with my jailhouse blues because of the short throw and high activation but they are not perfect either, and it's a waste of space to have such a tall switch/cap for such a short travel. I would love to have more options like this. If these are smooth and stabilized ( the two big complaints I've heard about ML) this could be huge. Okay yesterday I met with a Kailh representative. Ian is a very nice guy with a very deep understanding of how switches work. It was a very interesting meeting and I hope we will be doing something together. We talked a lot about how a nice "silent but clicky" switch could be done, basically a tactile switch with a strong feedback but without the noise. Regarding the low profile switches, I told him that a huge problem is the keycaps. Being the switches not compatible with Cherry ML they have to provide the best keycaps ever. He said that they are not only committed to that but they will also provide legends for all (most) EU countries! Unfortunately it seems it wouldn't be possible to do double injection because the key is too short, but PBT with dye-sublimation should be feasible. The problem is that it won't be backlight compatible and they wouldn't want to lose that market. We will be talking more in the coming days about keycaps. I believe a low profile 60% (with option for split spacebar) would be a nice starting project. "Losing the digital battle one digit at a time." Does Kailh seem to be interested in the keyboard enthusiast/do-it-yourself market? That is, will they be willing to offer caps, switches, etc. independent of complete keyboards? I had contacted them several months ago to make a min. order (8000 switches as I remember) and I never got a response from them. Being a big fan of the short throw and compact size of the ML switch, I am excited to see a similar switch that has also solved the off-center press stickiness. yes, they are very interested. In fact I should get something around 1000 switches in the near future. I will let you know as soon as the keycaps are finalized. 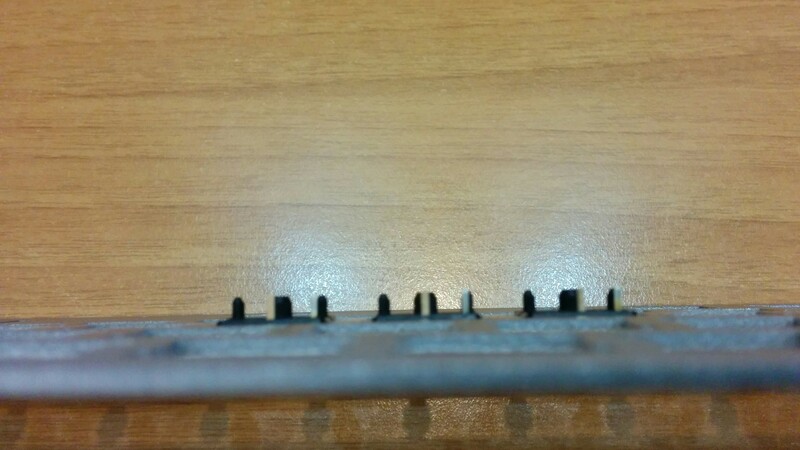 How close are these to a scissor laptop switch, in one end, and to MX switches in the other? Feeling, weight and feedback wise. they are nothing like scissor switches. They are very close to cherry mx but with a very short travel. They are all on the stiff side I'd say, but they are really good and sturdy. Sounds tempting, even if that means to get a full new keyboard and keys. I just hope it includes programmability and some sort of customization. If you develop with them something in the lines of the fox in sixty profile I will be totally in. Also known by my real name, ********! I'm interested for these switches; ml looked very tempting a while back. will be very interested to hear a sound sample! it's pronounced "danw omansen", not "dan woman san"
Page created in 0.196 seconds with 74 queries.